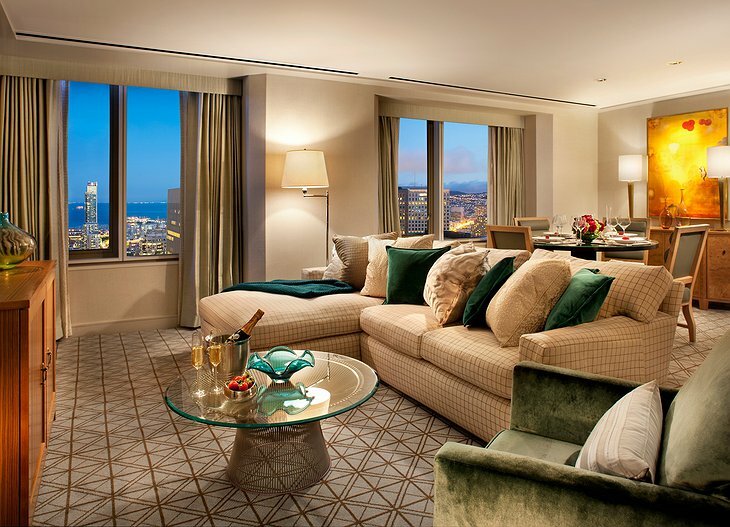 This hotel occupies the top 11 floors of the 48-floor 345 California Center building. The twin towers of the building are a 45 degree angles relative to the rest of the building which makes for a dazzling – if trippy - stay. 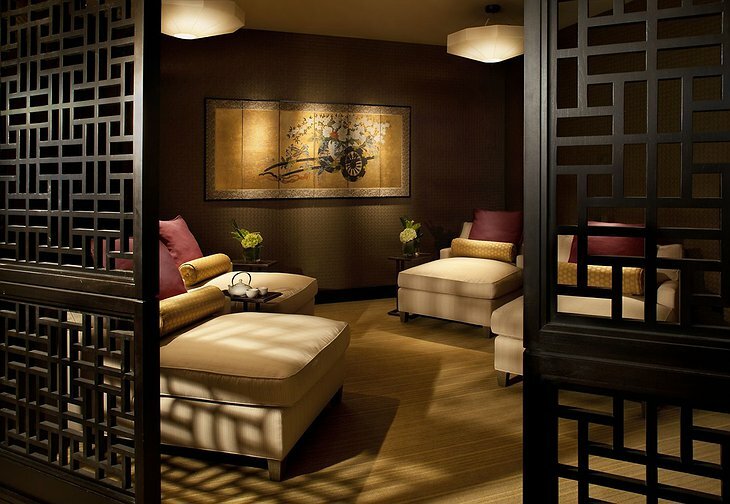 The vibe is distinctly oriental, borrowing themes from the best hotels of the Far East. 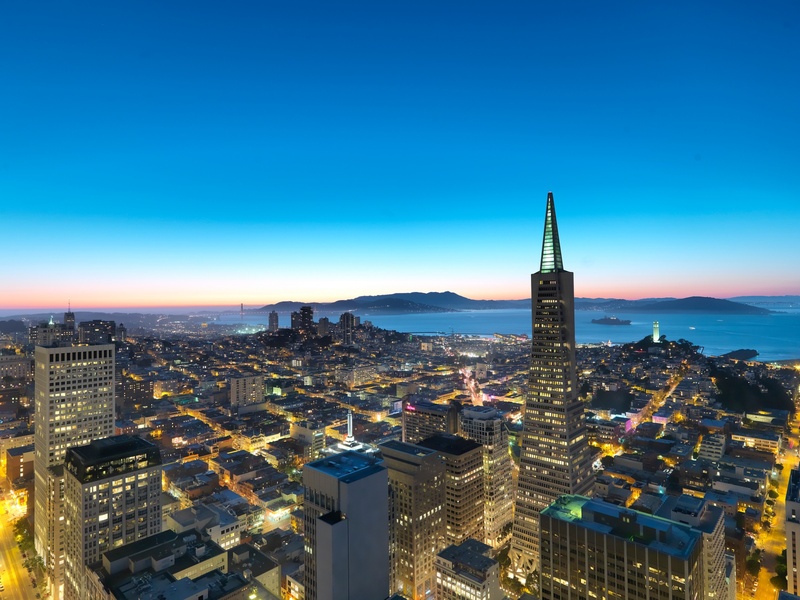 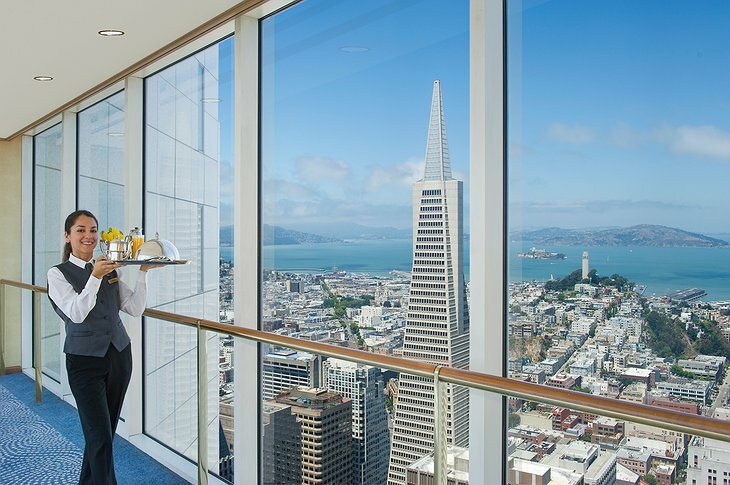 The 40th floor features a Sky Deck with lashings of view including: the Golden Gate Bridge, Coit Tower and Alcatraz Island. 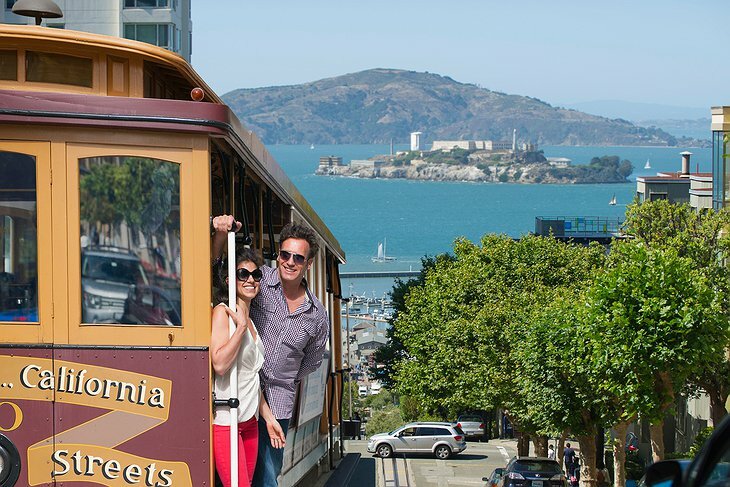 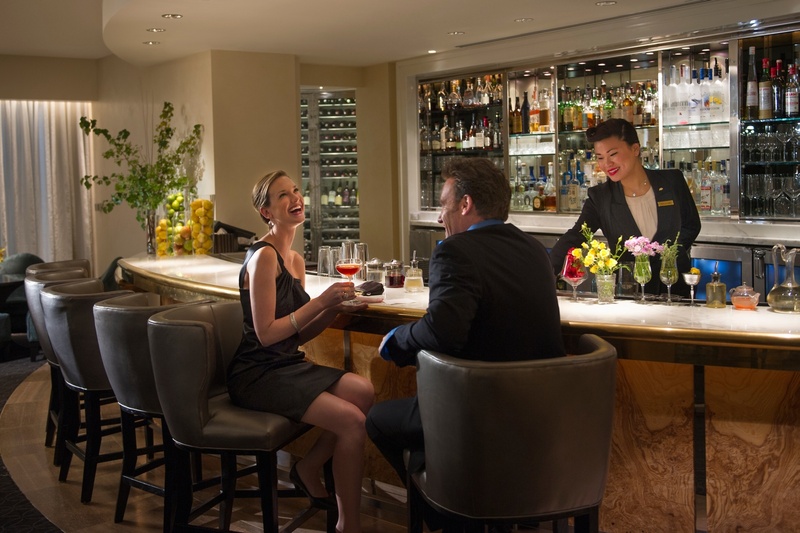 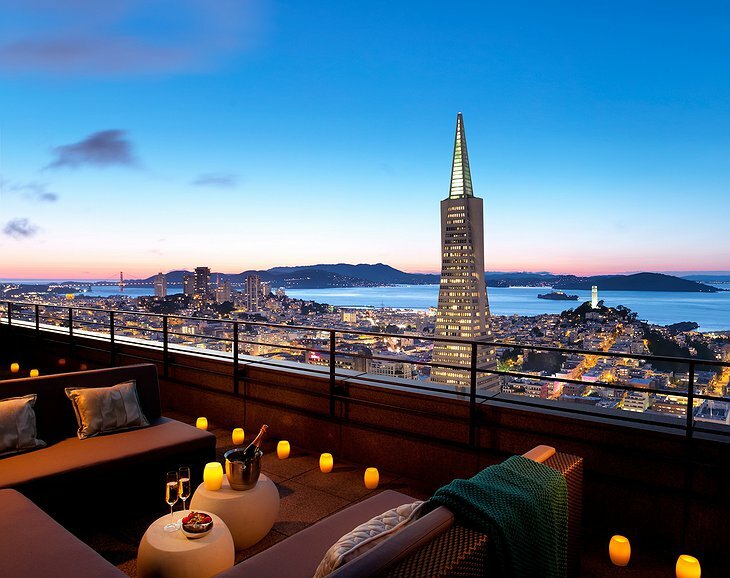 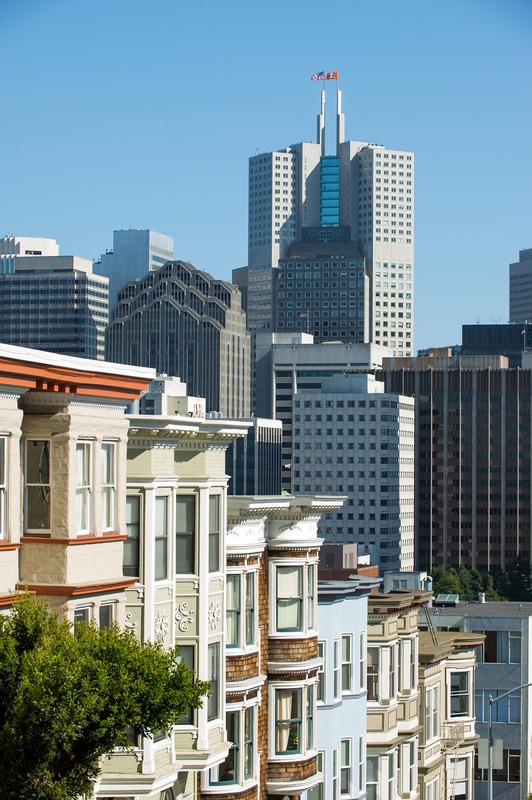 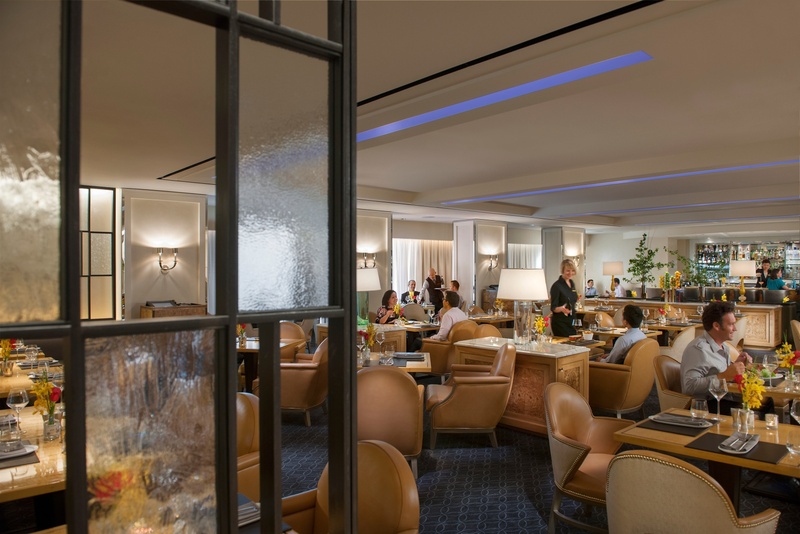 This being San Francisco, some of the world’s best wines are never far away; you can choose from the hotel’s selection of over 600 wines or take your pick from the classic cocktail menu. 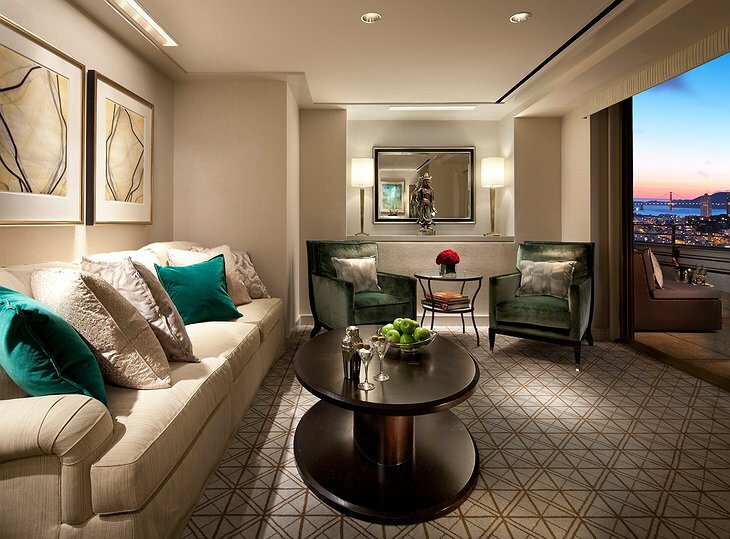 Some of the rooms have terraces where you can take your breakfast in the morning. 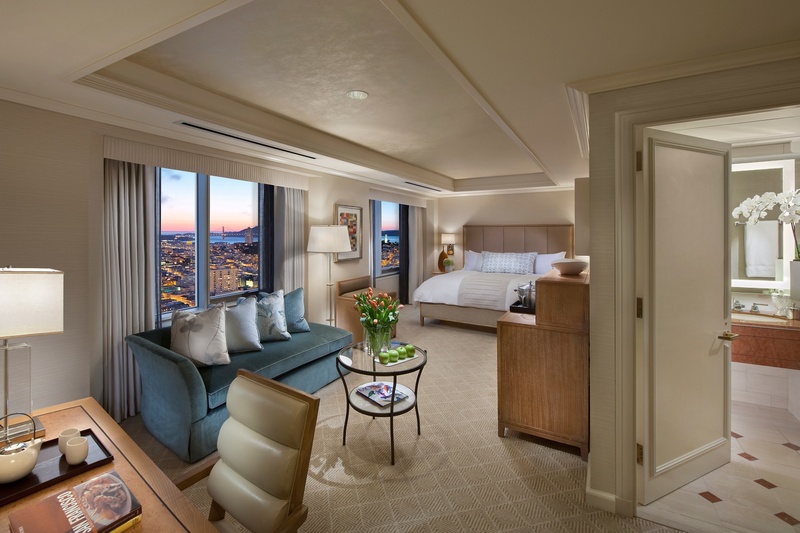 Relax in goose-down bedding and slip-on robes. 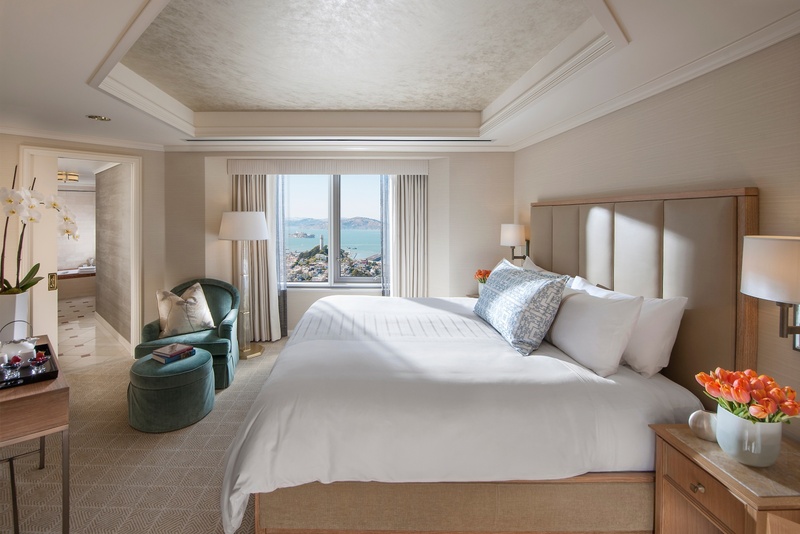 Some hotels have a Bible in every room – this one has a pair of binoculars so you can check out the lavish view of ‘Frisco Bay. The extensive fitness suite lets you exercise while the spa has rainforest showers, dedicated beauticians and couple’s suites. 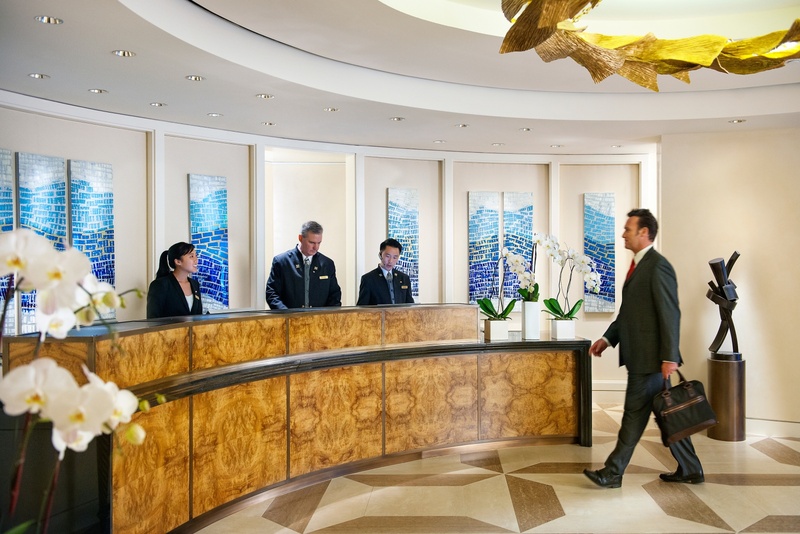 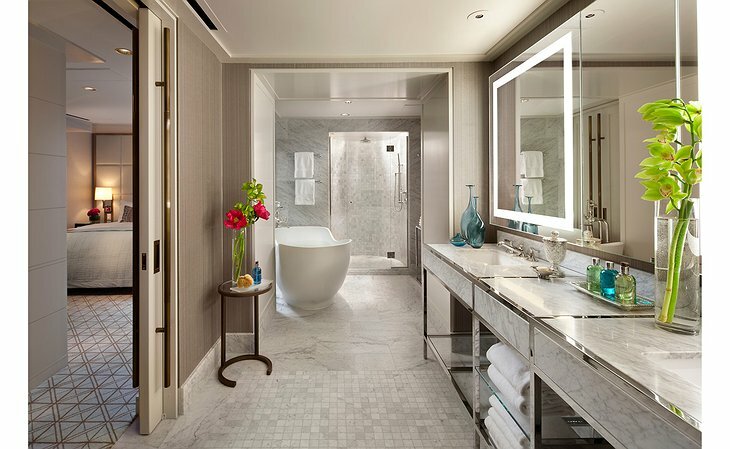 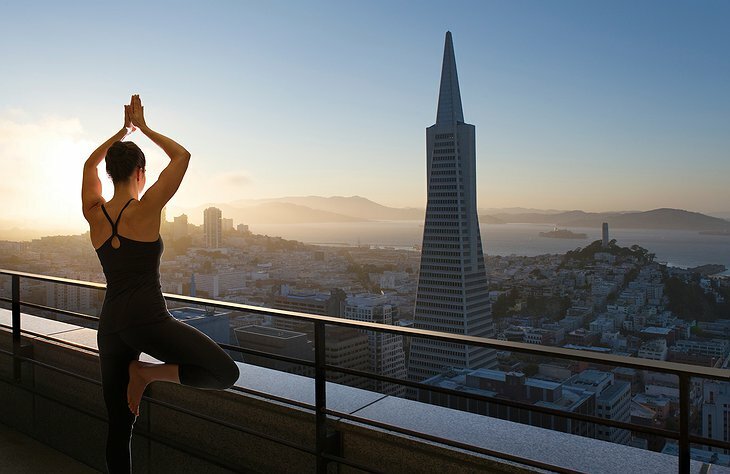 Mandarin Oriental San Francisco Hotel Promo from Red Element Studios on Vimeo.